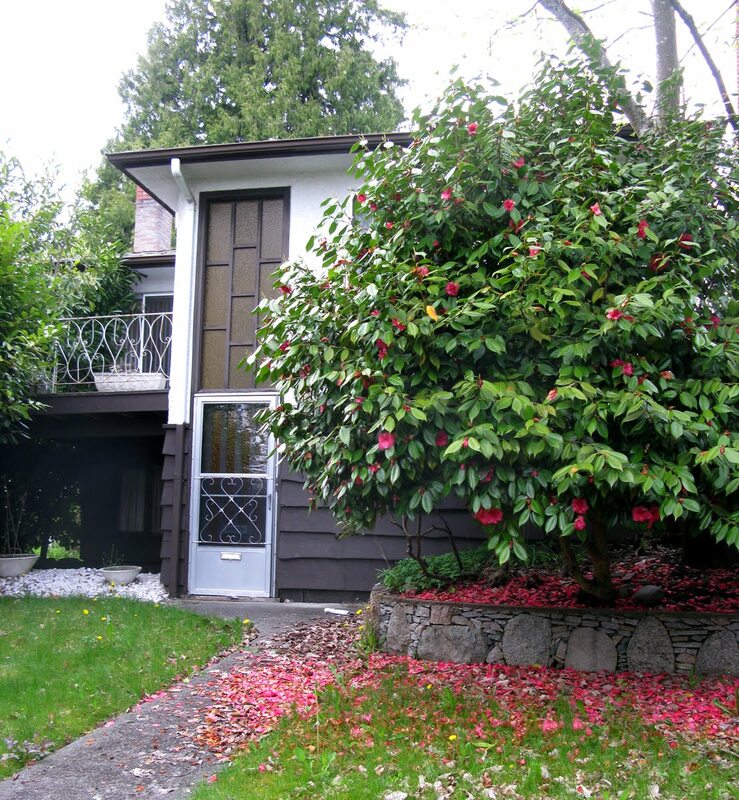 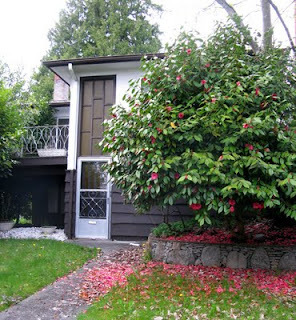 In early May, the red camellia bloomed for the last time in front of this house, perhaps a type of "Vancouver special" or an older house remodeled in the 70's. 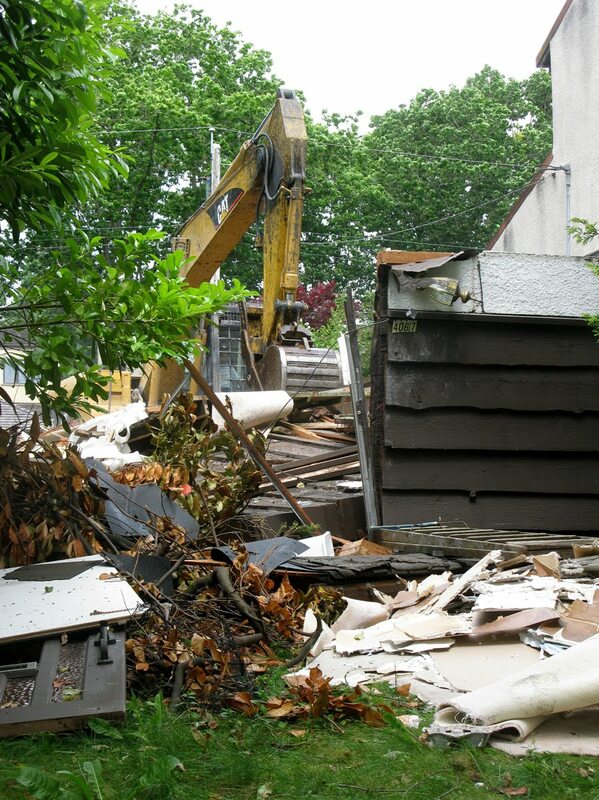 By 1 p.m. on June 30, much of the house was gone, but bits of it were recognizable. 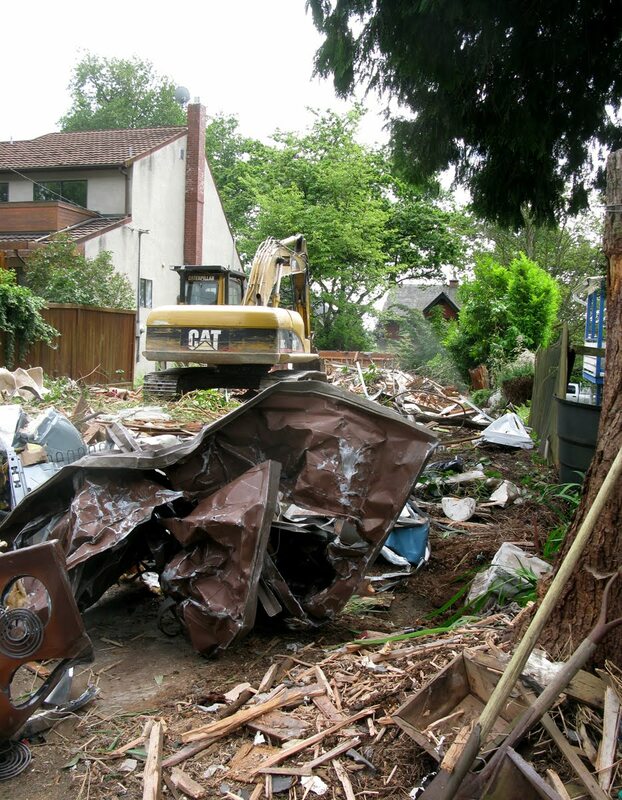 The view from the lane shows materials that will go to the landfill. Or will the metal be recycled?